Russia's Federal Centre for Nuclear and Radiation Safety (FCNRS), nuclear utility Rosenergoatom and the Mayak Production Association have completed the "hot tests" for new design used nuclear fuel transport cask TUK-141O. The cask will replace the series 13 transport containers. The 100t TUK-141O cask holds 18 VVER fuel assemblies weighing 9t in a removable canister and is designed for fuel with a heat load of up to 36kW. 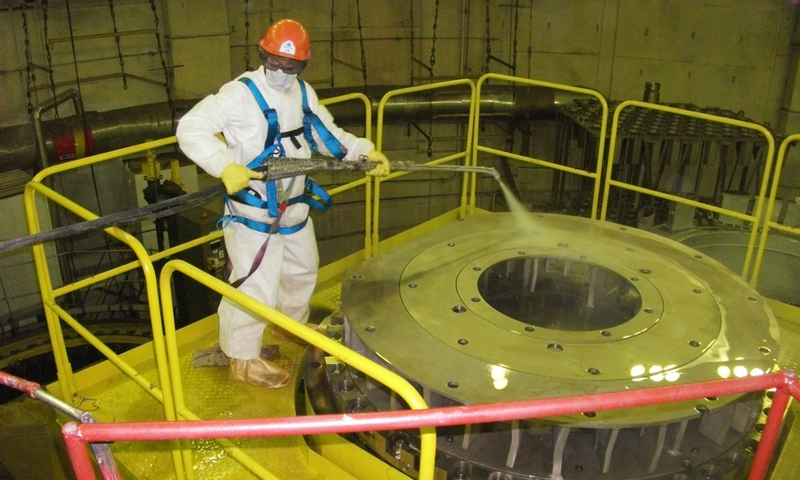 The TUK-13 cask holds only 6t of fuel from VVER-1000 reactors. The TUK-14 series is also more heavily shielded and can carry VVER-1200 fuel. It fits a TK-U-141 railway carrier. FCNRS and Mayak said on 27 September that the cask had been used for the first time to by rail transport irradiated fuel from the Balakovo nuclear plant to Mayak between 19 and 22 September. At Mayak, the hot tests were continued, and the used fuel assemblies were unloaded into a storage pool. TUK-141O designer Anatoly Zubkov said the new containers meet modern international and Russian standards and regulations for the transport of nuclear fuel. The cask can store 18 used fuel assemblies instead of 12 as with the previous design. Design of the TUK-141O cask was licensed in 2015. In February 2017, a safety case for VVER-1000 SNF transportation in TUK-141O flasks was finalised and received approval. Russia’s 35 VVER-1000 reactors produce more than 200t of used nuclear fuel each year, adding to the more than 6300t tonnes of used nuclear fuel from VVER-1000 reactors have been accumulated at the Mining and Chemical Combine. Mayak will process up to 400t/year, and the TUK-141O cask is expected to speed up this work.